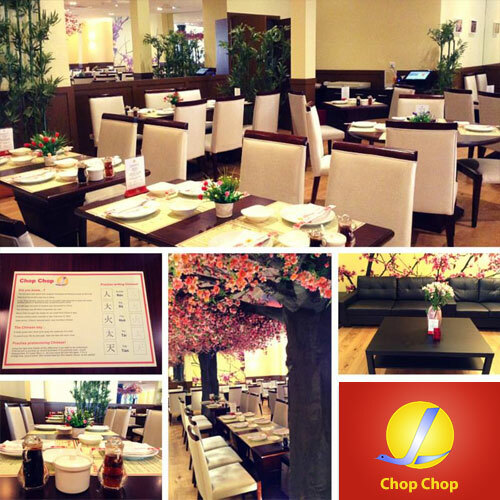 Enjoy a guilt-free dinner with a Capital Chinese Feast for two for just £19 at the award winning Chop Chop Chinese restaurant in Glasgow. Set in a quiet road right in the heart of the city centre, Chop Chop Glasgow is a delightful oasis of calm surrounded by the busiest shopping streets in the city. Hidden just off Buchanan Street, Chop Chop Glasgow is the latest offering from the long established Edinburgh favourite. Awarded an AA Rosette for their food just after their launch, the restaurant offers fresh ingredients cooked in a North East Chinese style to create dishes that are guaranteed to wow your tastebuds. It's Mitchell Street location makes it the perfect place to enjoy a city-centre bite to eat. A departure from the usual UK Chinese menu, diners can tuck into house favourites including a choice of delicious steamed and fried dumplings, crispy northern chicken, stir-fried spicy beef, green beans with chilli, aubergines with garlic, prawn crackers and a choice of ice cream or sorbet for dessert.